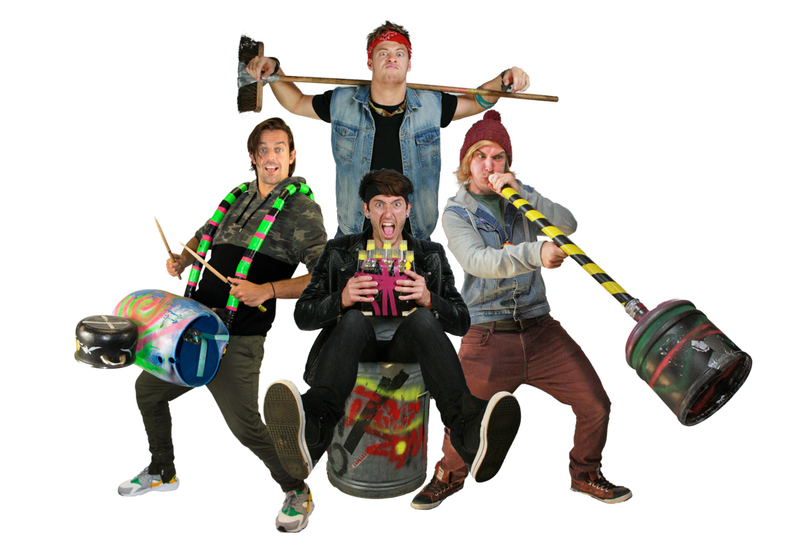 Using items commonly found in a junkyard, JunNk combines singing, percussion and comedy to create a world of music and laughter that has never been seen before. The contemporary, family-friendly show contains a distinctive brand of captivating percussion blended with catchy and original drainpipe-generated melodies, as well as quirky twists on many famous and well-loved tunes. The show also has four-part a cappella singing interspersed throughout, providing an unexpected contrast to the high-energy action that surrounds it. There are also tunes played by blowing bottles, various musical genres from around the world, audience interaction, vibrant colours and lots of strange and hilarious facial expressions! In terms of style and themes, JunNk is very much in its own category, with it’s crazy, lively and quirky style signifying the shows sheer originality. Themes include humour, a cappella singing, percussion, music, creativity, high energy and, to some extent, recycling! 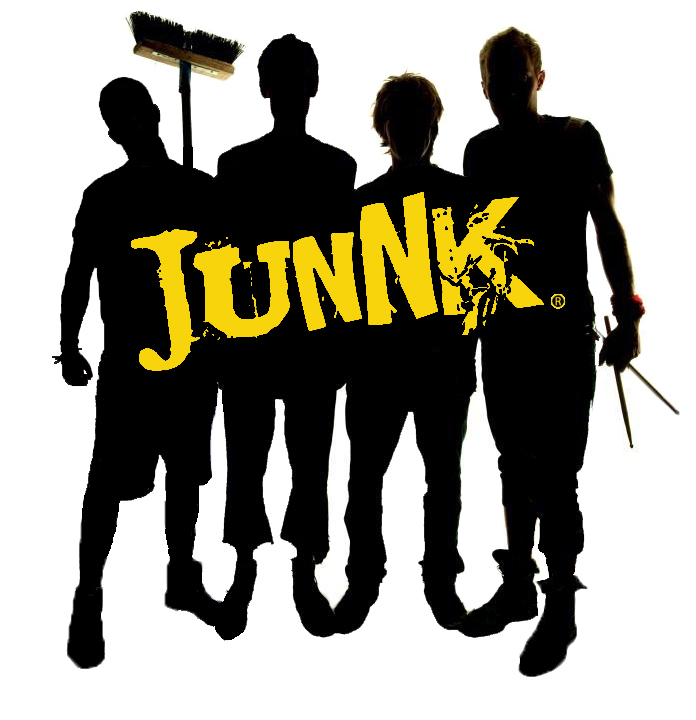 Amongst winning a 'Spirit of the Fringe' award at the 2016 Edinburgh Fringe Festival and Event Awards’ 'Act of the Year’ title at The Roundhouse, Camden in 2013, JunNk have performed an array of shows for various high-end companies both in the UK and abroad. 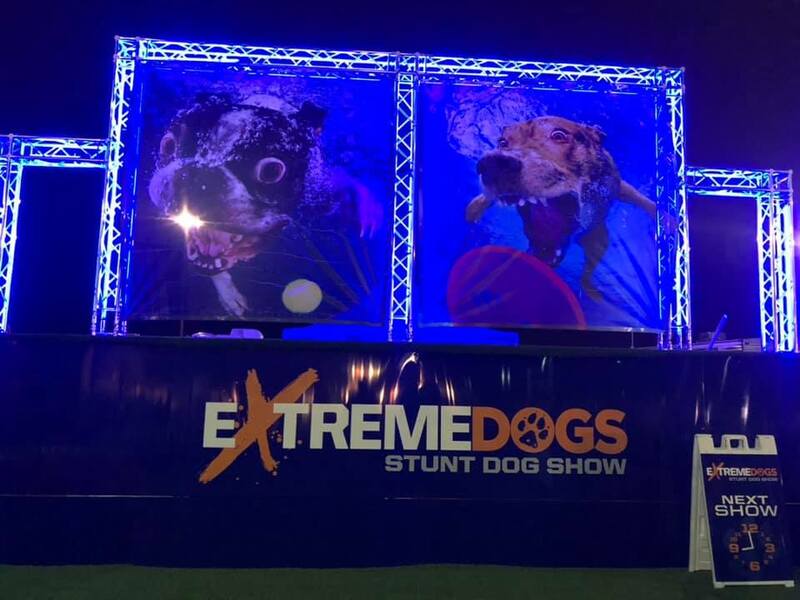 The show has featured on many Baltic, Mediterranean and Caribbean cruises for Disney, P&O, Royal Caribbean and Celebrity cruise lines, as well as many UK and overseas corporate events. These include multiple stints for Ferrari in Abu Dhabi and Harley Davidson in Saudi Arabia, various events in and around London and other parts of the UK, plus various music and arts festivals including Blissfields, UK, Pflasterspektakel, Austria and The Lamer Tree, UK.